EghtesadOnline: Iran was the biggest importer of corn from Russia during September-February 2018-19. 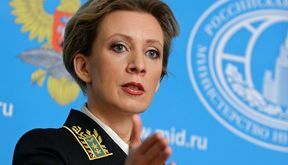 EghtesadOnline: The United States’ actions aimed at preventing the implementation of the 2015 nuclear deal are a source of concern for all parties to the agreement, a senior Russian diplomat said. 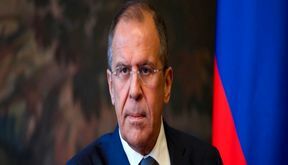 EghtesadOnline: Moscow, Tehran and Ankara have no plans to carry out joint military operations in Syria, Russian Foreign Minister Sergey Lavrov said in an interview with Vietnam’s national broadcaster Vietnam Television, China’s CCTV and Phoenix TV. 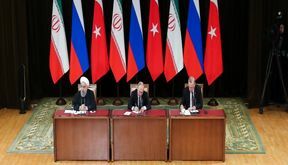 EghtesadOnline: Iran, Russia and Turkey see the planned US withdrawal from Syria as a positive step and are committed to taking further steps to help improve the political and humanitarian situation in the war-torn Arab state, leaders of the three countries said on Thursday after a summit on Syria. 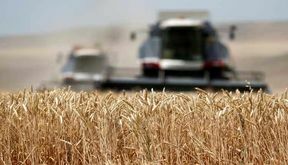 EghtesadOnline: Iran, Russia and Kazakhstan are making progress on financing a long-delayed wheat deal that could double or triple export to Iran, the secretary general of Iran’s Federation of Food Industry Associations said. EghtesadOnline: Iranian President Hassan Rouhani and his Russian counterpart Vladimir Putin will hold a meeting on the sidelines of the Astana trio’s summit on Syria to discuss trade and economic cooperation, Russian Ambassador to Iran Levan Dzhagaryan said in an interview with TASS. 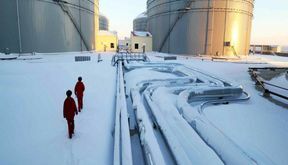 EghtesadOnline: Russia is complying fully with its pledge to cut oil production gradually, Energy Minister Alexander Novak said on Monday. 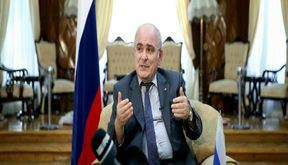 EghtesadOnline: High customs duties, non-sustainability and the small scale of businesses, export companies and holdings are the three main handicaps facing Iran's agricultural exports to Russia, the head of Agriculture and Food Commission with Iran Chamber of Commerce, Industries, Mines and Agriculture said. 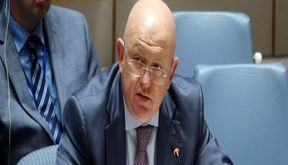 EghtesadOnline: The United States may attempt to impose additional restrictions on Iran through the United Nations Security Council, but there are no grounds for it, says Russia’s ambassador to the world body, Vassily Nebenzia. 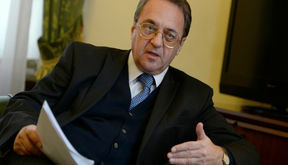 EghtesadOnline: Moscow will early next year host the leaders of Russia, Iran and Turkey for discussions on the Syrian conflict, Russia’s deputy foreign minister said on Friday, after the United States announced it was withdrawing troops from the country.